The Brazilian star Phillipe Coutinho has reached a final agreement with the Catalans after a load of struggles since last summer transfer window. Coutinho will sign for Barcelona for a five year deal with a total of £160 transfer fee. Photo from FC Barcelona’s official website. The ex Liverpool prolific player moved several hours ago from London to Catalonia to sign a deal with Barcelona that will have a buyout clause worth 400 million euros. The Catalan news website Sport was the first media source to announce the player’s transfer as official posting that the official announcement from FC Barcelona will take place in a few hours. On the 5th of January, FC Barcelona handed the finalized offer for Coutinho, with 120 million euros initially and 40 million in variables. The deal could become Barcelona’s most expensive signing and currently stands under Neymar move to Paris Saint Germain £200m as the second biggest transfer of all time. 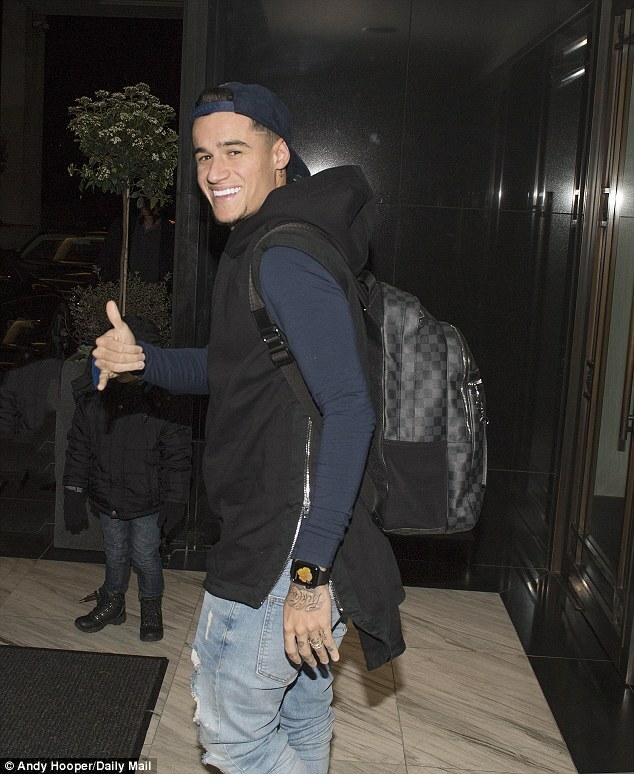 Coutinho before flying to Barcelona Saturday night. Coutinho will undergo his medical next Monday and will do further tests to know the extent of his injury. He will not be called up for Celta Vigo’s clash next Thursday nor will he feature in Barca’s next UEFA champions league game against Chelsea or any other till the end of the season as it’s prohibited for a player to play for two teams in one season.